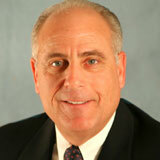 Jeff Koppelman serves as the President at Gans Ink And Supply Co., Inc. and has been with Gans since 1980. He has been instrumental in guiding the evolution of Gans Ink from a regional offset ink manufacturer into a national concern specializing in inks and products for a vast array of print markets. In addition to its original core business of offset ink manufacturing, Gans now has five other strategic business divisions. The Sublimation Division creates and sells heat-transfer dye products for offset, screen, flexo, and inkjet applications. The UV Division manufactures energy-curable inks for the secure and non-secure plastic card markets. The Security and Specialty Inks Division manufactures technologically-advanced inks for documents of value. The Blanket and Pressroom Supplies Division converts printing blankets and creates proprietary and compatible pressroom supplies. And the Digital Print Solutions Division sells and supports media, equipment, inks and software for the wide format printing community by partnering up with, and championing, industry leaders like HP, Onyx, Graphtech, GFP, Mimaki, and many others. Jeff graduated from California State University, Northridge, CA, with a B.S. in Business Administration and Accounting. Prior to Gans Ink, he worked for a CPA firm in Beverly Hills, CA. Jeff has been married to his wife Liz for almost 37 years. They have two sons, Chad and Jordan, both of whom work at Gans.